Once referred to as the “old mine cut” diamond, the cushion cut diamond mixes a lucrative, square cut with unilateral and round corners. The cut’s base resembles a pillow, and the classic design has persisted across two centuries. 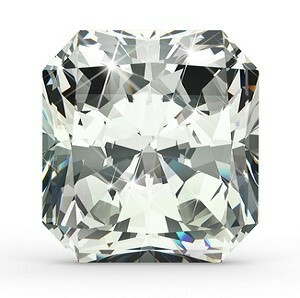 The cushion cut diamond was considered one of the world’s most popular cuts during its emergence. In the 20th century, it became the de facto shape for diamonds. 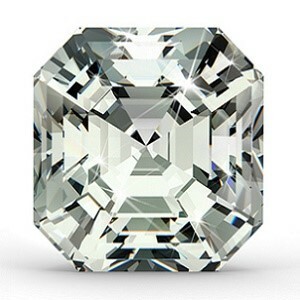 While modified cushion cut diamonds emerged due to industry needs and customizations, the traditional cushion cut delivered chunky-patterned light. This light return was superior to many, modern, cuts. The design’s enlarged cutlet delivered a distinct look still recognized by enthusiasts and collectors today. The cushion shape diamond—and the later-created cushion modified shape—was initiated in the 1920s by Marcel Tolkowsky. Tolkowsky delivered well-rounded refinements to the diamond style, and he’s responsible for enlarging the base’s table, shrinking the cutler and improving cutting angles. The diamond’s increased brilliance ushered a popularity surge, and many consumers were attracted by the cushion cut’s “antique” ambiance. The cushion modified shape later performed for the industry’s professionals and enthusiasts, taking an interesting approach to jewelry shaping and fits. The cushion cut diamond varies greatly from other shapes, and personal taste has sculpted its style through several dictations. While the cut is, generally, less brilliant than most round, brilliant diamonds, many cushion cut diamonds capture fire better. Because of this, their appeal is great. Additionally, many cushion cut modified diamonds have spun original, three-base-pavilion-facet-designs to accommodate many situations. Often, a cushion cut diamond utilizes a spare facet row, classified by its “modified” title. These alterations create a “crushed ice” appearance. The needle-like pattern is fascinating, and its radiant array delivers a fantastic approach to traditional styles. While many modified versions span across wide and varied designs, most adhere to the cushion cut’s primary design. Accessing a timeless scheme, its presentation is often welcome within many environments. The cushion cut diamond has been an enthusiastic favorite for many years, and it has re-emerged in modern decades as a timeless figure—promoting prosperity, conservation and beauty.